My word. Why yes, yes you did. And it looks fantastic! I know with everyone's eyes on Onell's 10th anniversary drop impending it's easy to look past some of the smaller companies. Boris has been relatively quite since Aprils post about the delay of the new comic, but I have been anxious to see what and when the new drop will be. Certainly would love a new tank for building. It would be great to see a match to the recent rig and conversion sets. I'm here making sure I haven't missed any news about a new release, I'm hoping for a new tank. or straight out and parallel to the ground? I updated the links, so hopefully they're showing now. 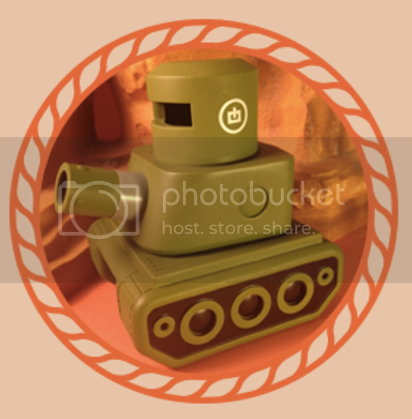 If not, here's where I got the pics, http://banimon.com/archive/, comparing the Red Army T-011 (green tank) to the Hellsmoortal Tank (gray tank). clark wrote: I updated the links, so hopefully they're showing now. Omg, I've looked through their archive before and love the Hellsmoortal! I'd really like to get one of those or something similar in a future release. I keep checking their site, but nothing yet. Hopefully soon. When did I miss this! I guess i gotta be checking my twitter more often!!! I don't know if these are new or not, but I for one have never seen that Tampo b4!, also I want in!!! clark wrote: I'm here making sure I haven't missed any news about a new release, I'm hoping for a new tank. Angled looks realistic, but parallel to the ground is worlds intimidating, especially if you're the one looking down a barrel. Hey gang, been absent a while from the boards, hope everyone is doing well in these crazy crazy times. 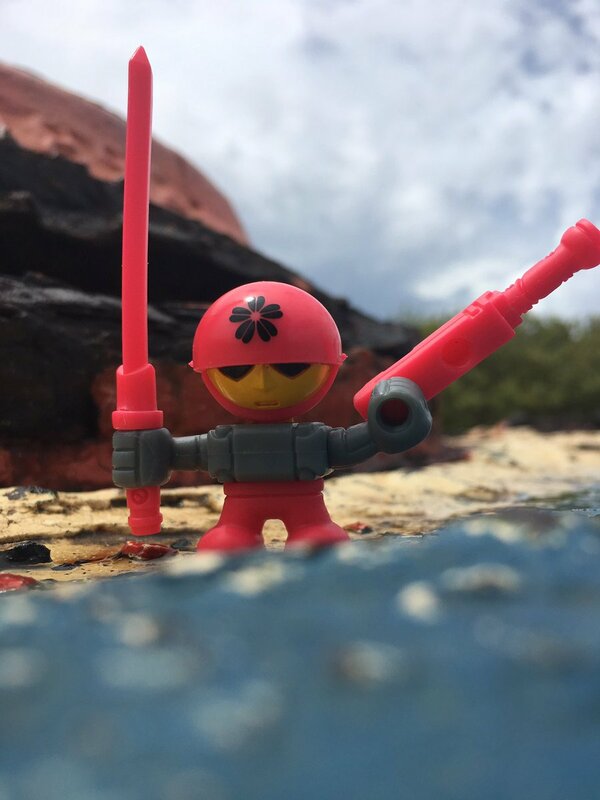 So it's true indeed that a new drop is coming, we were originally thinking for August, but with so much Glyos awesomeness dropong this month after talking to Matt decided on September instead. I will post some new pics after this weekend, and more details on the drop itself. One last thing I wanted to share is that part of the proceeds from the sales will be donated to help fight breast cancer (hence the color). We haven't picked the actual charity yet, and I know this is a little off-topic for a Glyos board, but if anyone has a suggestion as to a charity that is near and dear to their heart, please PM me with your suggestion. rocketnorth wrote: One last thing I wanted to share is that part of the proceeds from the sales will be donated to help fight breast cancer (hence the color). We haven't picked the actual charity yet, and I know this is a little off-topic for a Glyos board, but if anyone has a suggestion as to a charity that is near and dear to their heart, please PM me with your suggestion. Charity Navigator has a pretty good rundown, broken down by research, treatment, support services, and educational programs. There were a few exposés about the Susan G. Komen foundation that suggest it might not be the best option, even though they're one of the best known. Judging from the data, it looks like either the Breast Cancer Research Foundation (official website here, all proceeds go to grants for research) or the National Breast Cancer Foundation (official website here, over half of the proceeds go toward diagnostic services) would be a solid recipient for any donations, but there might be something local that could also work for treatment-centered charities. rocketnorth wrote: One last thing I wanted to share is that part of the proceeds from the sales will be donated to help fight breast cancer (hence the color). Well that settles the discussion my wife and I were having, we couldn't quite tell what color they were: red, or reddish pink. Also kranix offered some great choices. Actually, the Breast Cancer Research Foundation and National Breast Cancer Foundation are the exact two I was going recommend. BTW: My 2 year old daughter is playing with the Artemisian and Hellsmoortal tanks right now. She's going to flip when I get my hands on the new one coming out. Thanks Kranix, this is very helpful! Wow, I guess I need to start checking on here AND Twitter more! 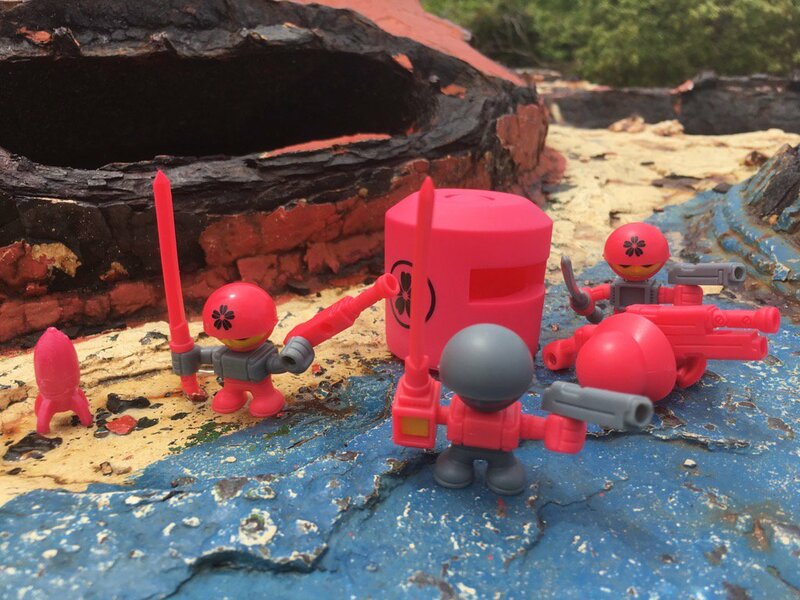 Couldn't post image (new to forum), but on Rocket North's Twitter recently they made a post with a pic of Rocket "mini figs" in same hot pink- #ghettorocket -saying expect to see them this Sept. Another recent post w/ pic of real life tank! Man, I really hope this is a hint at a new Banimon tank in next months release. 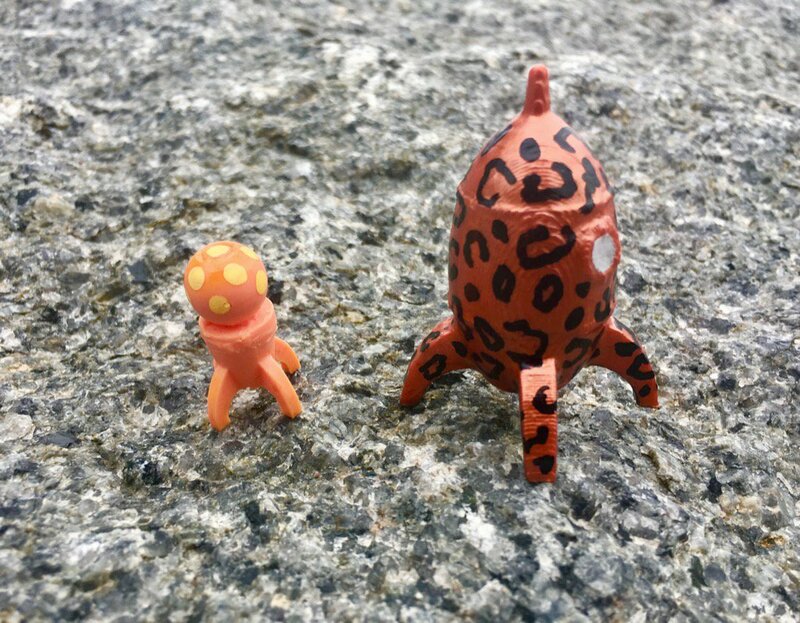 S.Syxvillain wrote: ...Rocket North's Twitter recently they made a post with a pic of Rocket "mini figs" in same hot pink- #ghettorocket -saying expect to see them this Sept. Another recent post w/ pic of real life tank! 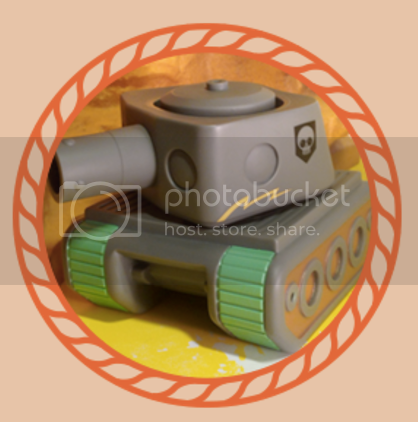 Man, I really hope this is a hint at a new Banimon tank in next months release. This would totally fit that concept to me, and in my mind is absolutely a natural progression from the 18th Armoured “Rainmakers” custom corp builds from February of 2016. This is very exciting and fun to see the CC concept still lives on. Being a relative noob to the glyos world, Banimon is the only company in which I've had the opportunity to participate in a CC drop. I'm pleased to see that that may be a continued thing, I'll be there ready and waiting. Also, can't have rocket north with out some rockets! Will those rockets fit in the barrel of a tank, you think? Glyosphere wrote: Will those rockets fit in the barrel of a tank, you think? You can get them in there head-first, but they won't stay (the fit is not tight enough). The design for the rocket preceeds the tank by probably about 5-6 years (sculpted by Ron back in the day), it was part of an original WMD Fuelrocket prototype that never made it into production. So we are confirmed for the next drop on Thursday, September 7th, at 9pm EST. Extremely limited edition tanks custom builds, hand painted and weathered. Each build and paint job is entirely unique, part counts vary. 3D-printed Big Brother-size Getto Rocket with accompanying little brother (classic Getto Rocket). 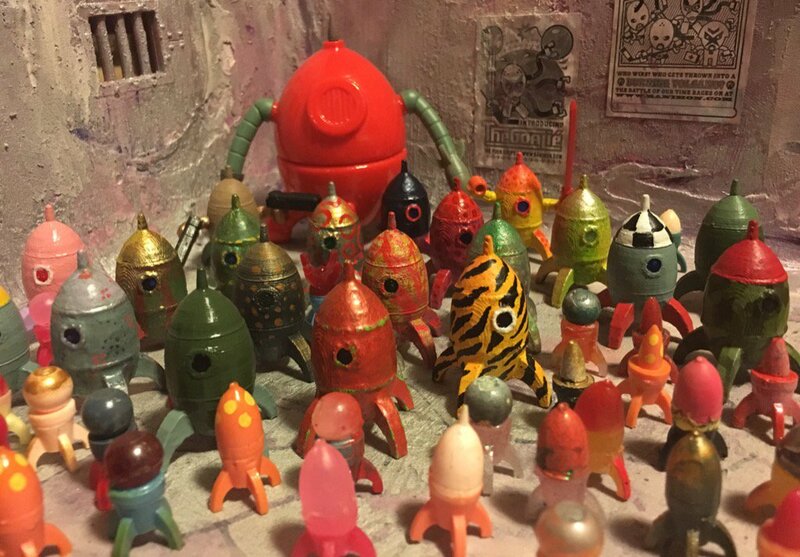 Each rocket is custom painted and is a one-of-a-kind art toy. Contained build using 2 Red Army Men PVC figures and a vinyl bunker. This set is the first time we’ve used the cannon build in production. One regular Banimon PVC figure, comes with backpack, extra sword and grey Banigoth head. Perfect for the warrior who stays in touch with his/her sensitive side. Any chance we'll see some sneak peaks?